Dry bread isn't good to feed to chickens because it can get stuck in the crop and cause an impacted or sour crop. So what to do with the heels of the loaves or stale bread ? 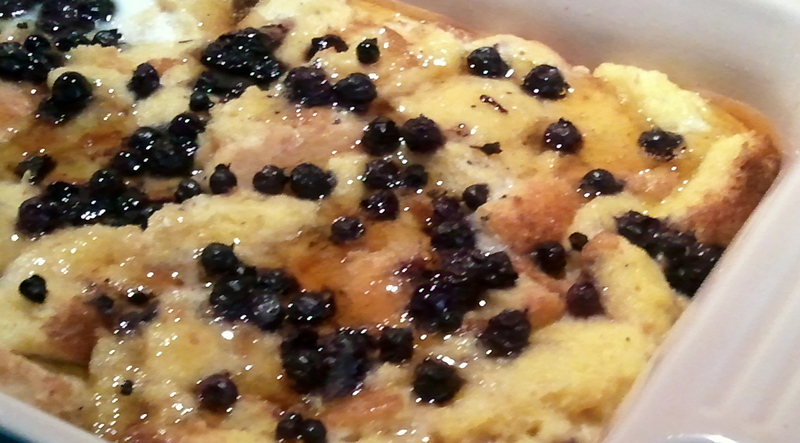 Well, you can try my Blueberry Bread Pudding with Maple Syrup and Blueberry Sauce Recipe ....and you can make your chickens a nice treat right alongside a pan of Bread Pudding for the family. Arrange bread in a small baking pan and pour egg mixture over to cover completely. Allow to sit a minute for the bread to absorb the liquid. Sprinkle blueberries over top. Bake at 350 degrees for 20 minutes. Cool and drizzle honey over the top before serving in the run. This is a quick, easy way to use up both extra bread and eggs. My girls absolutely loved it ! 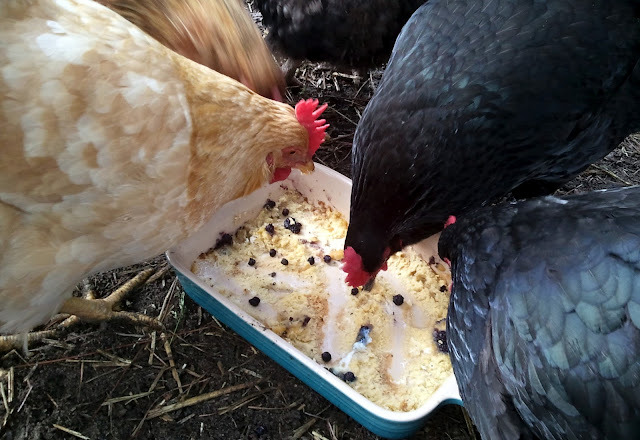 Okay, yes my girls are slightly spoiled...but this is a great way to use stale bread and eggs. And you can make it alongside my Bread Pudding recipe for humans ! 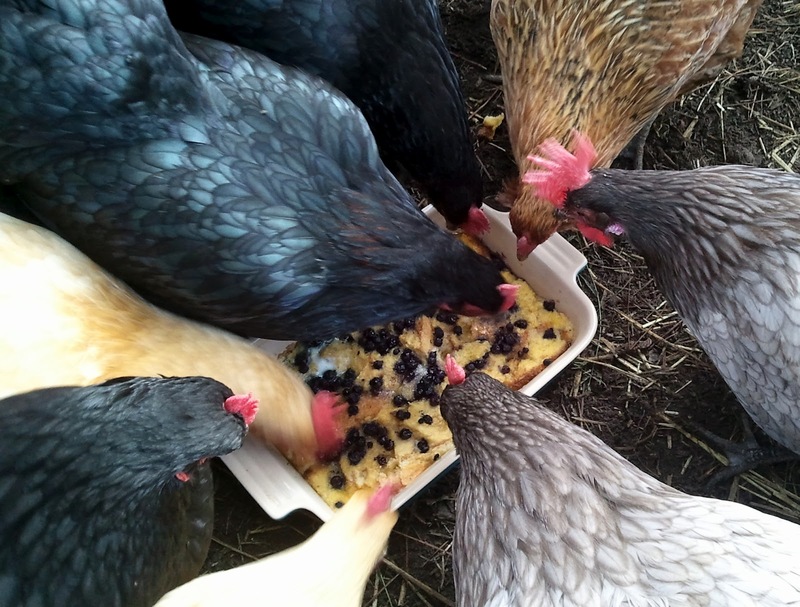 I've been mixing in bread with eggs to scramble and feed to the chickens, but this would give them some fruit. Love the idea! I'm going to try it today. Thanks! I always have stale bread around what a creative use for it. Thanks (as always) for the insightful emails! Can chickens eat rhubarb? Would chickens eat rhubarb? I have some rhubarb in the freezer but no berries. I know rhubarb leaves are toxic..not sure about the stalk...I would stay away from it tho. How about raisins or craisins ?